After visiting your property and viewing the items to be sold, we may recommend that you consider an auction as one of the options available to you for selling your property. Our auctioneers are professionals, with many years of experience in the antiques and estate liquidation business. They have completed a rigorous program of instruction through the prestigious Missouri Auction School in St. Louis, Missouri. Known as "The Harvard of Auctioneering," the Missouri Auction School has been training professional auctioneers since 1894. Wyoming Estate Services LLC is a member of the National Auctioneers Association, governed by the strict code of ethics that the NAA requires of its members. Our objective is to conduct a well organized sale of your items that will obtain the best possible prices for them. From beginning to end, every member of our staff will focus on the success of your sale. Through advertising, direct mailings, and promotion of your sale on our website, we will seek to draw a crowd of enthusiastic buyers, ready to bid for your items on sale day. Transportation of items from your location to the auction site. If necessary, storage can be arranged for your items until auction day. Cleaning of items. Fees vary depending upon the amount of work required. Advertising the auction through newspaper ads and direct mailings. This will include placement on our website under "Upcoming Auctions and Sales." National advertising is available for high value or specialty auctions. Internet auctions: Specialty items of high value not suited for auction locally can be auctioned separately on the internet to an international market. 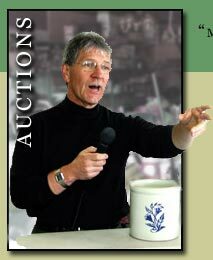 Conducting the Sale, accounting for the proceeds of the auction, and delivering the proceeds to the seller.